When X-Men first appeared on the big screen back in 2000, it ushered in a new type of super-hero film. Nearly a decade before Christopher Nolan would give birth to his neo-noir inspired Batman, X-Men proved you could successfully adapt beloved comic book characters and place them in a serious, modern-day context (and make money while doing it). This was a drastic shift from the campy, playful superhero films from the decade before (Looking at you, Batman Forever). 14 years and seven installments later, and this group of mutants is still kickin’. Days of Future Past regroups many of the characters from the first film with the newer income of mutants from X-Men: First Class (2011), directed by the original director, Bryan Singer. By including such a large cast of characters within a cinematic universe over a decade old, continuity errors are bound to happen. Fortunately, Singer is able to create an interesting and well-developed story that both establishes universality with existing X-Men films, and lays the necessary groundwork for the next installment (X-Men: Apocalypse, due in 2016). Days of Future Past revolves around Wolverine (Hugh Jackman) traveling back in time in order to prevent Mystique (Jennifer Lawrence) from triggering a set of events which eventually lead to the downfall and imprisonment of mutants and non-mutants worldwide. In order to do this, he must recruit Professor X (James McAvoy) and Magneto (Michael Fassbender). The inherint motivations and dynamic of these characters is what provides the lifeblood for most of the film. There is also opposition from Bolivar Trask (Peter Dinklage), a human obsessed with implementing his mutant-hunting sentinel program in order to establish peace for mankind. While all this is going on in the past, mutants of the future are battling these sentinels, trying to buy time for Wolverine to accomplish his mission. All this action in both the past and future scenarios is cleverly displaced over the course of the film, and Singer makes great use of timing to keep the audience interested. With the exception of a lengthy middle segment where early Professor-X meets up with his future self (Patrick Stewart), the film moves along at a pleasantly brisk pace. Singer also makes an extra effort to include many references to the story’s origins, and die-hard comic book geeks will have plenty to talk about when the film ends. Days of Future Past’s biggest accomplishment is in its characters. These aren’t your stock, one dimensional personalities you typically expect in a blockbuster; all the major players feel fresh and give great insight into their unique outlook and motivations. Specifically the ongoing conflict in the trio between Magneto, Professor X and Mystique is great stuff to watch. 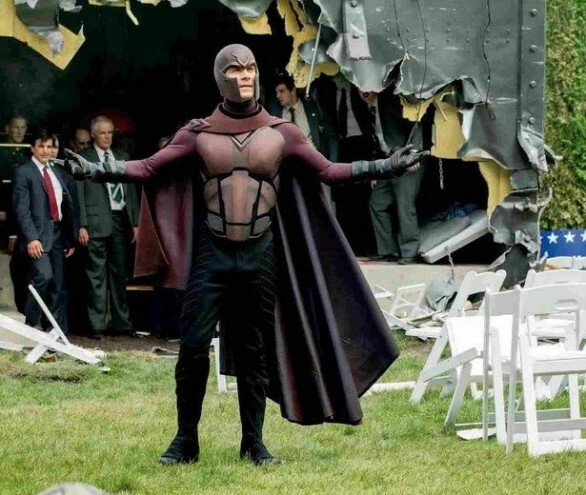 While it does it have its shortcomings, X-Men: Days of Future Past is, so far, the year’s best summer blockbuster and should leave the fanboys and casual filmgoers satisfied.